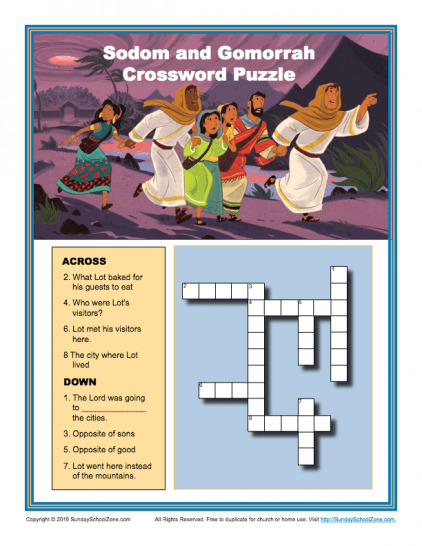 These crossword puzzles highlight several elements of Bible events, personalities, and situations. 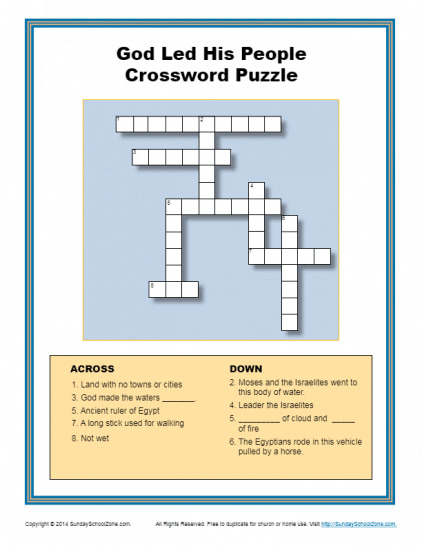 Children will have fun and learn a great deal as they work these crossword puzzles. Just click on the title of an activity to visit a web page where you'll be given an opportunity to download. The early church was made up almost exclusively of Jews. 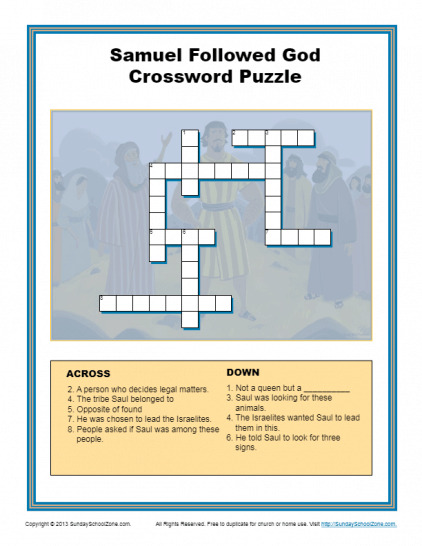 This Peter and Cornelius crossword puzzle can be used to help kids learn this important story and discover that God sees all people the same regardless of race. 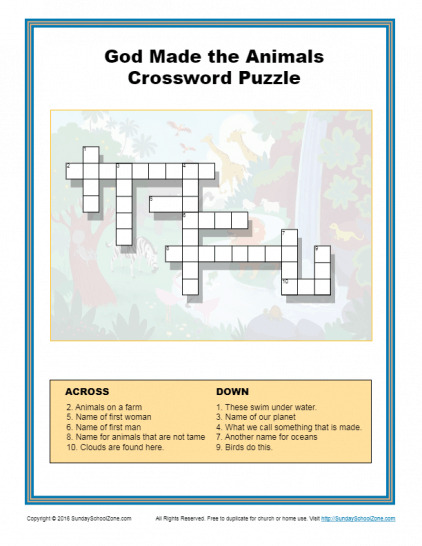 This free, printable crossword puzzle, based on Genesis 1:20-25, will help kids learn that all animals were made by God for His purposes. It can be used in a homeschool setting, one-on-one, or in a classroom setting like Sunday School. 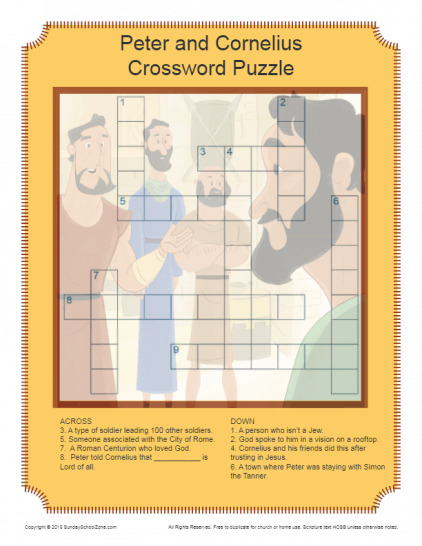 This free, printable crossword puzzle, based on 1 Samuel 8:1-9; 10:1&9, can remind children that we should follow God in obedience even if we don’t want to. It can be used in a homeschool setting, one-on-one, or in a classroom setting like Sunday School. 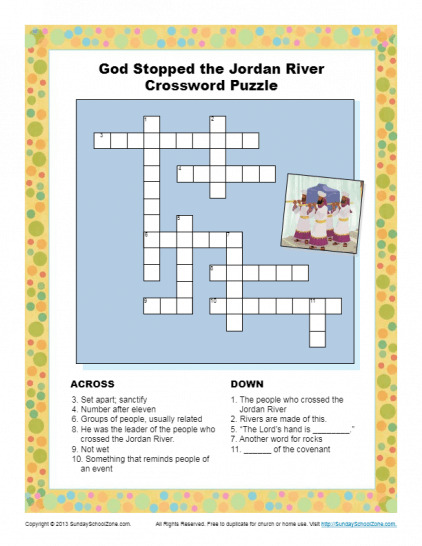 This free, printable crossword puzzle, based on Joshua 3, can remind children that God will always provide a way for His people to do His will. It can be used in a homeschool setting, one-on-one, or in a classroom setting like Sunday School. This crossword puzzle uses words that highlight nine elements of the departure of the Hebrews from slavery in Egypt. 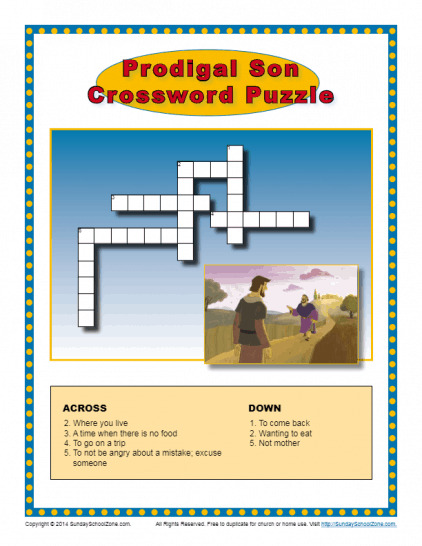 This puzzle can be a great reminder of the miraculous help God gave His people. 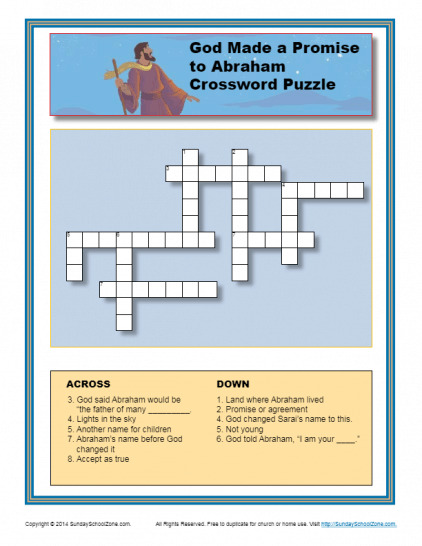 This crossword puzzle will help your kids remember the important promise that God made to Abraham about his children. Sharpen your pencils and use this activity page to help your kids become very familiar with this important biblical story. 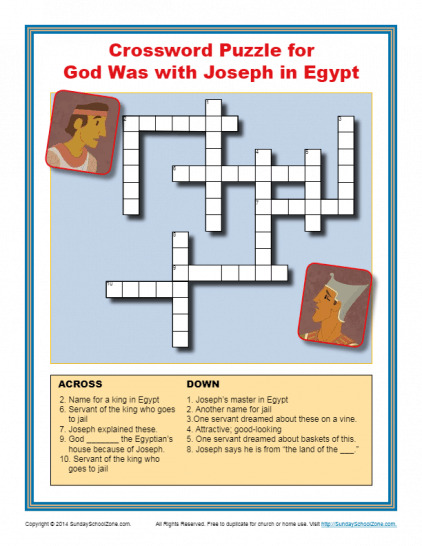 Let your kids have a chance to work this crossword puzzle that highlights details of Joseph’s initial years in Egypt. They’ll be reminded of God’s care for Joseph, who trusted Him despite difficulties and unanswered questions.